This year's Buxton Festival will include stagings of Verdi's original version of Macbeth, Britten's Albert Herring, and Mozart's Lucio Silla, plus a visit from Music Theatre Wales' productions of Guto Puw's new Welsh-language opera Y Twr. But the festival's music programme also includes a wide variety of concerts and recitals to complement these. The music series opens with a recital from soprano Alwyn Mellor and pianist Michael Pollock, and closes with a recital from mezzo-soprano Sarah Connolly and pianist Joseph Middleton. Other recitals include Raphael Wallfisch (cello) and John York (piano), Paul Nilon (tenor) and Nancy Cooley (piano), BBC New Generation Artists Ashley Riches (bass baritone) and Ilker Arcayurek (tenor) accompanied by Simon Lepper (piano), Roderick Williams (baritone) and Iain Burnside (piano), Heather Shipp (mezzo-soprano) and Stephen Barlow (piano), and there will be piano recitals from Paul Lewis, Melvyn Tam, Christian Blackshaw, and Imogen Cooper. Visiting ensembles include the English Concert, the Brodsky Quartet, the Fibonacci Sequence, the Norther Chamber Orchestra, the Fitzwilliam Quartet, Quatuor Mosaiques, Helios Collective and the Endellion Quartet. And Counterpoise will be premiering a new work by John Casken with Sir John Tomlinson. 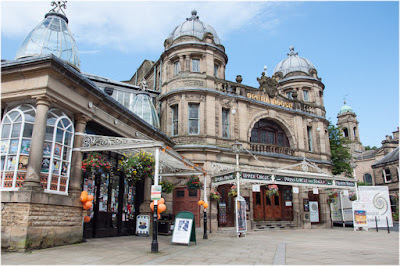 Full details from the Buxton Festival website.